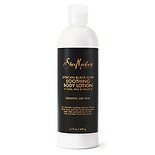 Shop SheaMoisture African Black Soap Body Lotion (13 oz. )13 oz. $999$9 and 99 cents$0.77 / oz. $1399$13 and 99 cents$0.44 / oz. 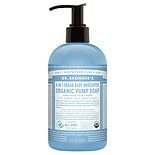 Organic hand soap allows you to cleanse your hands thoroughly without harsh chemical ingredients. Choose from our wide selection of organic hand soap, featuring natural bar and liquid soaps that combine cleaning power with special ingredients to keep your hands soft and smooth. Washing your hands thoroughly on a frequent basis is recommended by doctors to prevent spreading germs that can cause colds, flu and other infections. However, harsh chemical soaps can cause damage to your skin if you use them on a regular basis, especially if you have particularly sensitive skin. The herbal and other natural ingredients in the different types of organic hand soap that we feature keep your hands fresh as they nourish your skin and replenish its moisture every time you wash your hands. In addition, the fruit and floral extracts found in our natural soaps leave a pleasant but not overpowering natural fragrance on your hands, giving you a feeling of freshness that lasts long after you finish washing them. 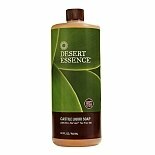 We offer many varieties of both organic bar soap and organic liquid soap. Some have foaming action, which makes hand washing more enjoyable and more effective, as the foam easily penetrates under your nails and other hard-to-reach spots. 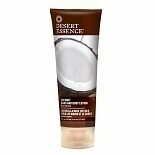 If you have sensitive skin, try an organic hand soap with moisturizers such as oatmeal. Make sure you look for a fragrance-free soap if you are allergic to perfume. We even have organic hand soap made especially for your children. They will love it, and it will encourage them to wash their hands more often.